San Francisco, CA… The San Francisco Flamenco Dance Company (SFFDC) presents Volver (“Return” in Spanish), a celebration of the poetic heart of Flamenco: the music of the first cry, the first kiss, a call to prayer, the heart’s lament, the joy of living. In Volver, the poetry of Leonard Cohen, Federico Garcia Lorca, and Violeta Parra (to name a few) is put to the soulful song of Flamenco. From Spain, the Middle East and the US, performers interpret the fierce, sensual, heartbreaking and joyful aspects of human experience that unite us all. World-renowned musicians Amir-John Haddad (Guitar, Oud, and Buzuki) and Ali Paris (Vocals and Qanun) join in this new collaboration directed by SFFDC Founder/ Artistic Director, Kerensa DeMars. Founded in 2016, the Flamenco dance troupe is committed to both preserving the cultural integrity of Flamenco and supporting work that traverses traditional boundaries of the art form. The SFFDC brings Flamenco artists from Spain and through workshops and performance opportunities encourages the development of local artists. The company was founded by Kerensa DeMars, who trained intensively in Spain for eight years with the country’s foremost Flamenco artists. Volver returns to the Moorish roots of Flamenco with a first time collaboration between master musicians Amir-John Haddad and Ali Paris along with Syrian percussionist, Faisal Zedan, and the passionate vocals of gypsy Flamenco singer José Cortés. These internationally renowned musicians create a stunning score for the San Francisco Flamenco Dance Company’s original choreography. The inspiration at the heart of Volver is the origin and the essence of the art of Flamenco itself: sung poetry. During a time of rampant xenophobia, economic inequality, and fear, many of the laments found in original Flamenco verse are as timely now as when they were originally penned. Volver brings this lament to center stage in a series of dances inspired by poems from the original Flamenco lexicon and works by contemporary poets and activists. Volver will feature: Amir-John Haddad (Musical Direction, Guitar, Oud, Buzuki), Ali Paris (Qanun, Vocals), José Cortés (Cante), Faisal Zedan (Percussion), Daniel Fries (Bass), Kerensa DeMars (Dance, Artistic Direction), Melissa Cruz (Dance), Manuel Gutierrez (Dance), and Bianca Rodriguez (Dance). THE SAN FRANCISCO FLAMENCO DANCE COMPANY, with Kerensa DeMars at the helm, presents annual theatrical productions that feature some of the finest Flamenco artists working today, along with artists representing related traditions. 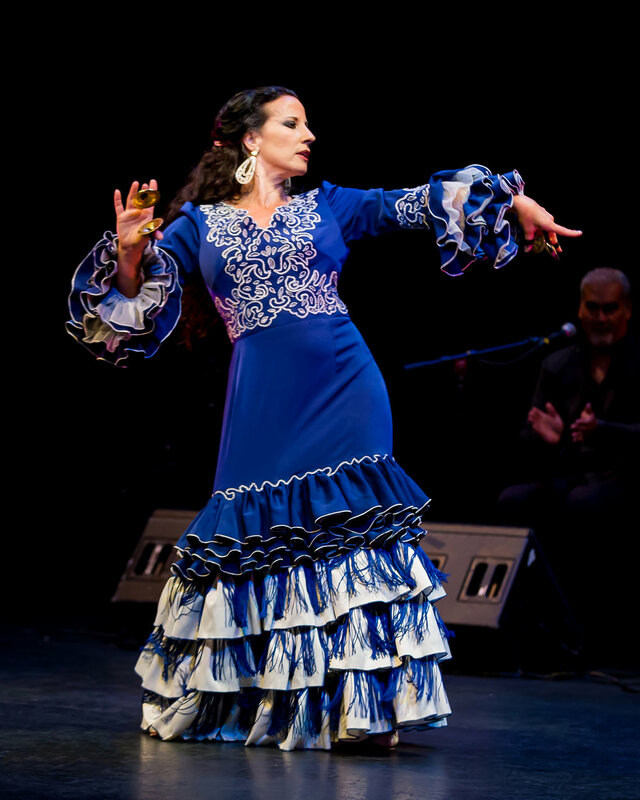 In 2016, SFFDC presented Mares at the Brava Theater in San Francisco featuring guest artists from Spain including Antonia Jiménez, one of the world’s only professional female Flamenco guitarists, as the musical director for the work. That same year the troupe presented new work at the San Francisco Ethnic Dance Festival. In 2018, SFFDC presented two works at the San Francisco International Arts Festival: 5xLorca in which five Flamenco choreographers interpreted works by poet Federico Garcia Lorca and ¿Dónde está Don Quixote? an interactive Flamenco show for families featuring guest artist Luis de la Tota as Don Quixote. The SFFDC also presents “The Flamenco Room” every Sunday night in downtown San Francisco at ThirstyBear Brewing Company in the traditional tablao style that encourages the spontaneity and improvisation central to the art of Flamenco. Now in its 16th year, the Flamenco Room is the longest running weekly Flamenco performance in San Francisco history, hosting guest artists from Spain and serving as a home for local artists to develop new work. The SFFDC offers ongoing professional level workshops, youth programs and regular Flamenco classes at the Mission Cultural Center for Latino Arts in San Francisco and at other Bay Area venues.